Item Number: 266-550 17889 Actual Weight: 0.8 lb. 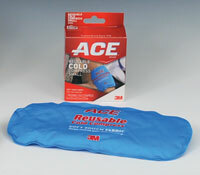 Convenient and easy-to-use compresses provides instant relief. Keep cold compress in freezer until needed.